If I back up C:\data\ and want to exclude C:\data\exclude\, should I specify the exclusion as \data\exclude or \exclude? 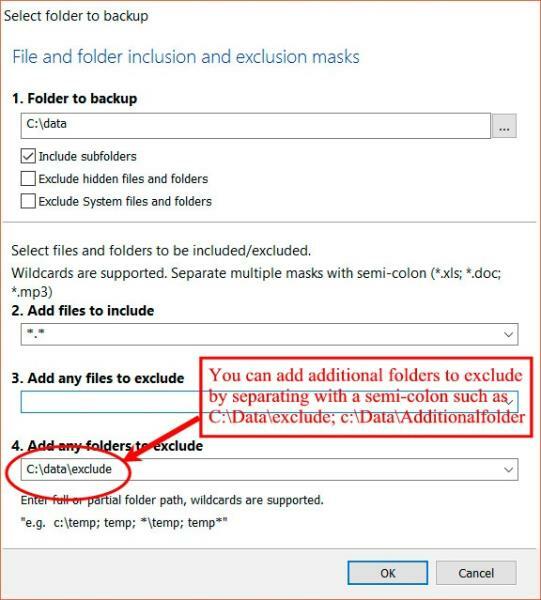 "How to exclude files from a Disk Image"
This article explains how to set a Registry key that will exclude items from EVERY Disk Image backup, i.e., this method can't exclude items from some Backup jobs and not others. That pertains to image backups. Based on the original post, the screenshot, and the section of the forum this thread was created in, the OP is running F&F backups.